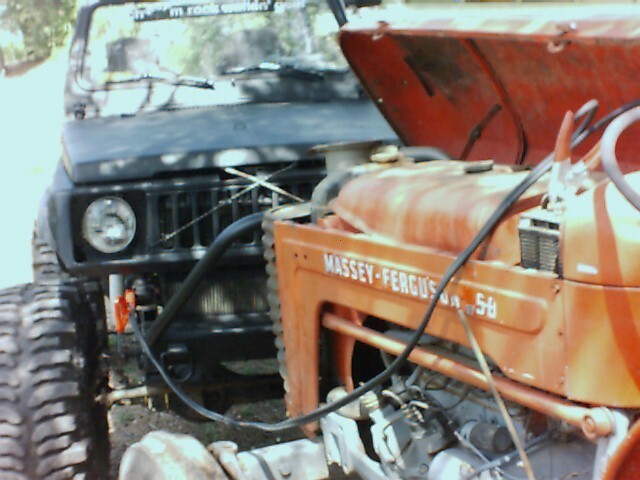 Ok everyone has had to use jumper cables at least once in there life, most likely more than once a year! If not for yourself, then for a friend on the trail. Well the fine people at Painless Performance Products have just made your life a lot easier, with there Quick Connect Battery Jumper/Charging System #40101. 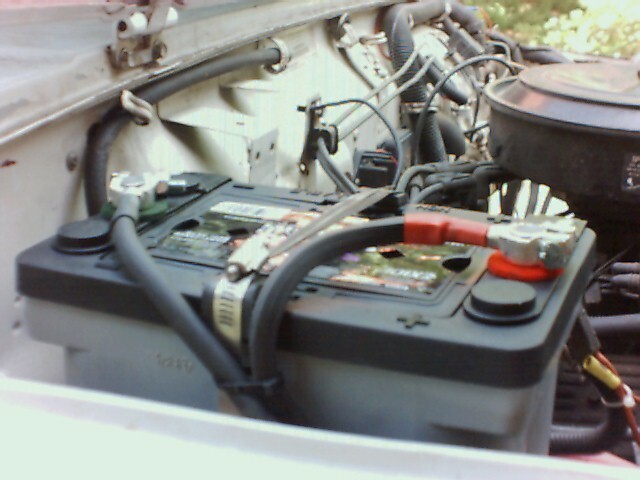 It is designed for whenever a jump-start is needed, or frequently required. The product has a 2-way,quick disconnect which is permanently attached to your vehicle, and the quick disconnect jumper cables simply plug into the receptacle. 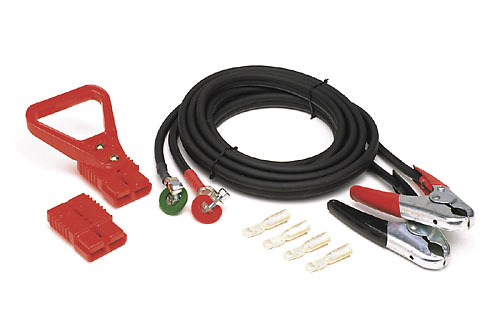 The kit comes with all you need;12' of #4 cable, 2 quick connect terminals, 2 500 amp jumper clamps, and 2 copper battery post connectors. You do need to cut the cable and attach the ends. I went to a local shop as you need a special crimper for these heavy duty ends. 1st thing is to locate a mounting point on your vehicle. 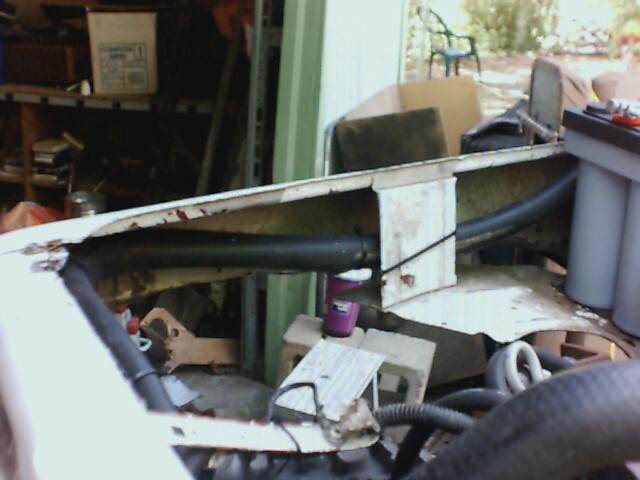 I chose the passenger side, same as the battery, at the end of the frame. Then measure and cut the cable, put on connectors, then connect the frame end, then attach to the battery. I chose to run the cable inside a piece of rubber hose to keep it protected from getting cut open due to the inner fenders being removed from my trail rig. I used 4' of some 3/4" cheap washing machine drain hose, and it was to small so I slit it all the way and popped the hose in and used zip ties to hold it back together. Simple and cheap. I now have a set of 8' cables, which seems to do the trick! I plan on getting another connector and wiring and putting an outlet at the rear of the vehicle as well! 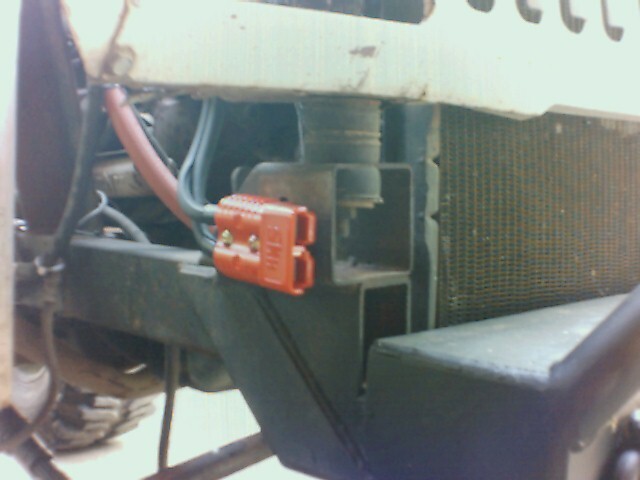 This kit came well packaged from the factory, was of high quality, and installed easily. This kit sells for approximately $199.00. Have a look at there webpage for complete wiring harnesses for jeeps, classic trucks, cars, universal kits, and much more!